Friday again, which means it’s time for the weekly fuel price update. Petrol is up once more this week, but only in the case of RON 97, since the price of RON 95 has been capped. From tomorrow, March 16, RON 97 will be priced at RM2.54 per litre (up eight sen from the RM2.46 last week). 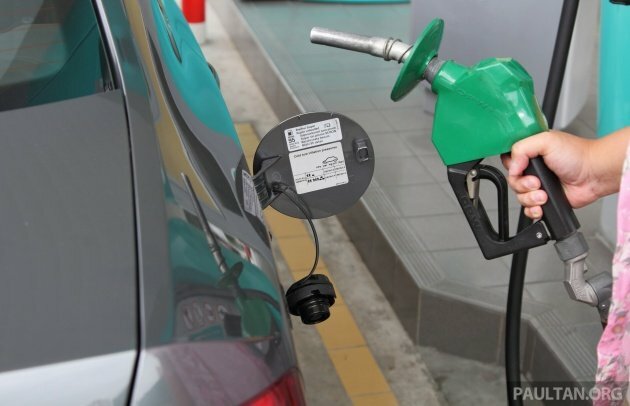 The price of RON 95 remains capped at RM2.08, which is the maximum price consumers will pay no matter how high market prices push pump prices beyond that mark. Meanwhile, no change in the price of diesel, with Euro 2M diesel continuing to be priced at RM2.18 per litre, its capped price, while Euro 5 diesel, which is always 10 sen more than standard diesel, remains at RM2.28 per litre. The government said that without the price cap in place for both fuels, RON 95 would actually be priced at RM2.24 per litre, while that for diesel would be RM2.37 per litre, based on Automatic Price Mechanism (APM) calculations. These prices will be in effect until March 22, when the next set of fuel price adjustments will be announced. This is the eleventh week of the weekly fuel price format, which is set to be announced every Friday. The prices will be effective from Saturday until the following Friday. Lucky we have a caring Government who cares for us and has capped the petrol prices at RM2.08. If follow the previous corrupted regime, petrol will be RM3.20 by now. We are so lucky to have a clean Government who cares for us. How come PDAM so silent when petrol go up? When petrol go down, they DEMAND Government to give them compensation. Greedy PDAM members. This is why we need to open the lesen to all Malaysians and not just a selected few. Open the license to all 34 million Malaysians. You are no different, Kunta. john got caught with copy paste in Proton article, still continue to do the same. I also believed when our minister told us we will have Malaysian made flying cars soon. Price of RON95 remain at RM2.08 , Syukuuurr! Fossil fuel has hit the price bubble, embrace the price down fall again soon. RON97 is up 26 sens over past 3 weeks. So obvious what’s going on here. New targeted subsidies coming later this year. Instead of trickle down economics, why not invest in education system and empower people instead, so they are better equipped to be competitive in global 21st century. For 3 weeks now, PH Govt has been untung bersih 16sen per liter. We are being robbed in broad daylight by the King of Thieves!!! This time there’s nobody to “save” us! We have condemned our saviour into the slammers. We have no one but ourselves to blamed and only ourselves can be counted to arise from this hopeless situation!!! Arise Malaysians, and take back your country from these conmen and charlatans!!! Yet another fake ‘ethnic’ name. Stop bullshtting us by using our names! so betul la you ade 50 dupe akaun ni? BN cybertroop? When you are still that arrogant and do not listen to the rakyat you see what happened at Cameron and Semenyih, and you will see it again in Rantau. When you refuse to honour your promises to the rakyat you will be taught the best lesson. Where is the promise of RM1.50/L petrol? Where is the immediate abolishment of tolls? Where is the lower car prices? Where is the lower cost of living? Instead the poor gets nothing, and being chased out of their low cost houses without compensation. If your government cannot stop laughing, it only tells me one thing about it: CRUEL AND HEARTLESS. Who made petrol price over RM1.50? Who made rakyat to pay tolls? Who made cars’ price in Malaysia so expensive? Who made cost of living so unbearable? Who is so cruel and heartless? You got that right sis! This is a car site. Pls don’t talk politics here. Respect the site. Here we talk about cars and car related matters. All those questions are relevant to this site. Please don’t shirk and answer the questions. You are exactly why Dr Mazlee must put more effort into his job. Goodness me, do u even know what ur talking about?? Malaysians should rise and make sure they are not like u! What a joke u r! The ‘yellow vesters’ knows EXACTLY what Rakyat Malaysia is talking about. Diesel prices still higher than petrol? Good! Conlanfirm food and essential prices will shoot up again. Even now’chap fan’ cost Rm7.00 when it used to be just Rm4.00 2 years ago. LMAO RM7 a plate is not the final price yet! Hawkers food sellers striving to achieve developed status ala Hong Kong f&b pricing. why subsidy petrol? make it float and cut down car tax instead. Euro 4M Ron 95 mana????? We want cleaner fuel now! Ron95 just caused another corrosion in my muffler yet again! Come on! Euro 4M Ron95 lah!! !